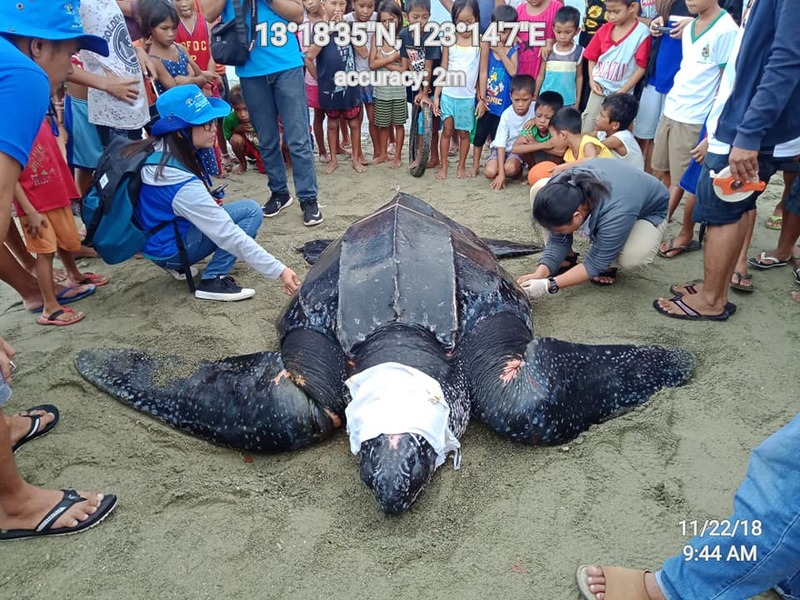 On Thursday, November 22, a giant leatherback turtle got entangled in fishing nets in Balatan town, Camarines Sur, and was hauled to shore by a fisherman who was rather dismayed at catching the poor creature. 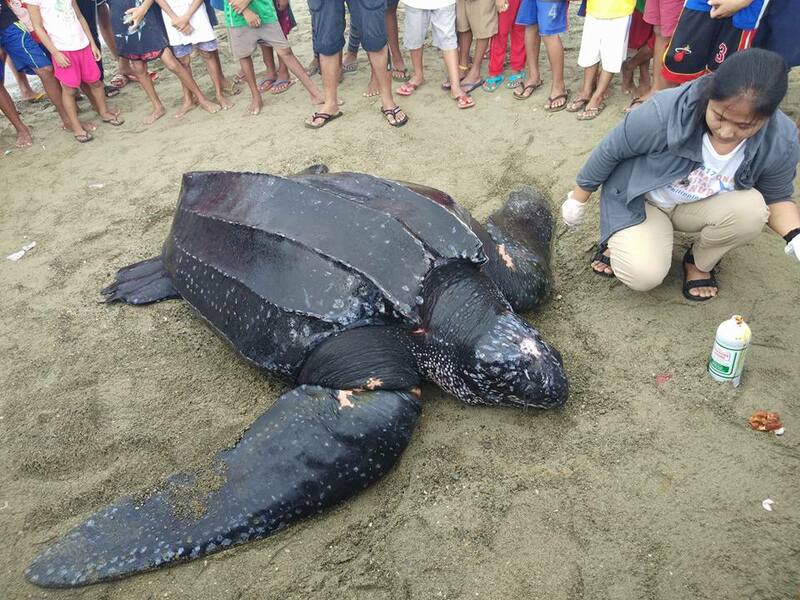 Weighing 500 kg, the turtle was huge and easily dwarfed the kids who gathered around the fisherman’s uncommon catch. The poor turtle got entangled in the fisherman’s net early in the morning as it swam in Ragay Gulf. It had a carapace measuring 1.75 meters in length. 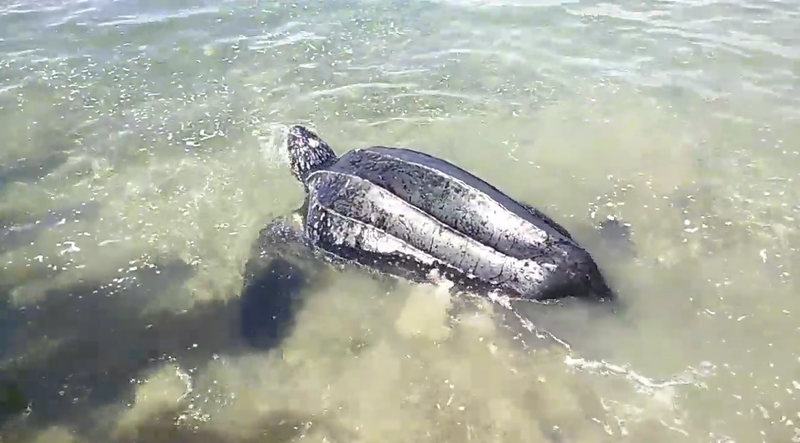 The turtle was identified by a veterinarian as female. 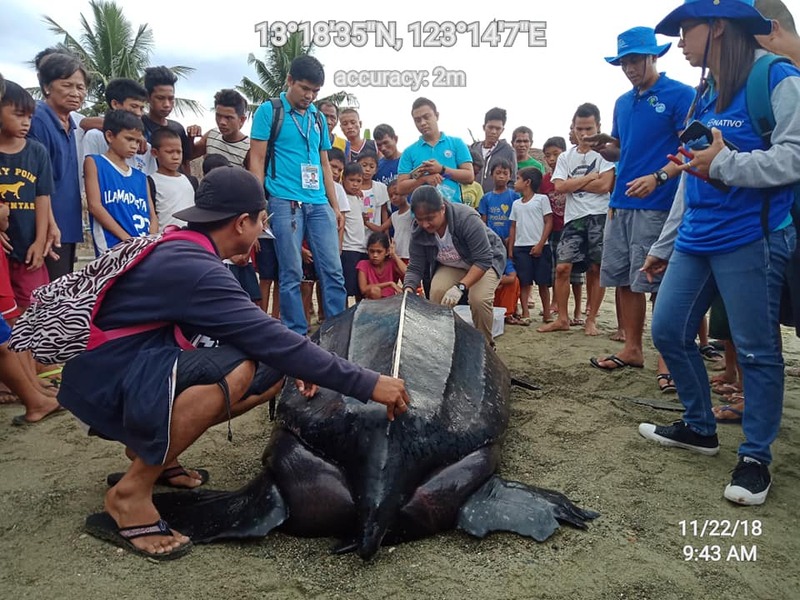 The turtle was caught off the coast of Pararao village in Balatan, revealed regional spokesperson of Bureau of Fishery and Aquatic Resources (BFAR), Nonie Enolva. It was immediately rescued and handed to authorities by Alberto Pasamba, a resident of the barangay. Sadly, the poor thing sustained some superficial wounds after it got entangled in the fishing nets. A veterinarian was called on site to treat the animal’s wounds before it was released back to sea. While waiting for the treatment, a lot of people came to help the gentle giant. Some poured sea water on its body to keep it hydrated while it remained on the beach. Others set up a canopy to ensure it remains in a shaded area while waiting for its release back to sea. According to Enolva, the area is rich in marine turtles as Ragay Gulf is along their migration path. The path also extends to Ticao Pass and Burias Pass. 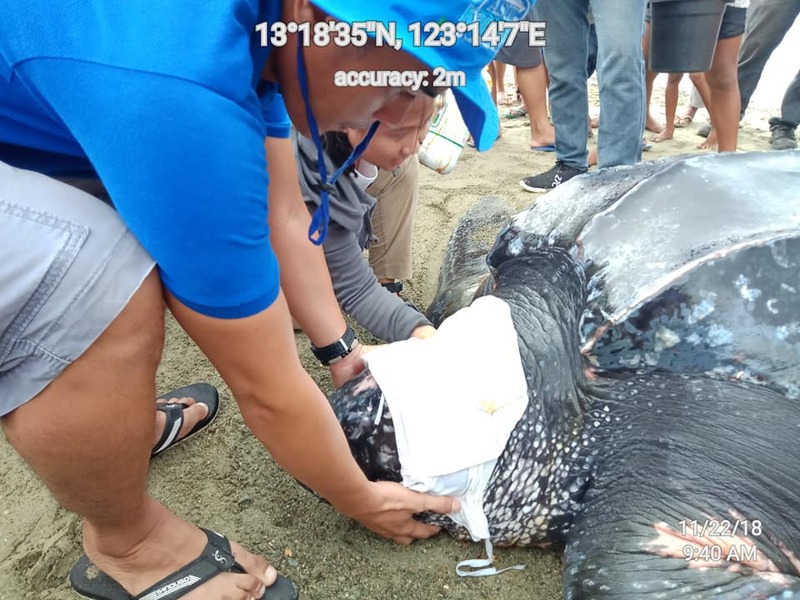 A research assistant at the Bureau of Fisheries and Aquatic Resources, Ryan Cediño, was among those who helped rescue the turtle. 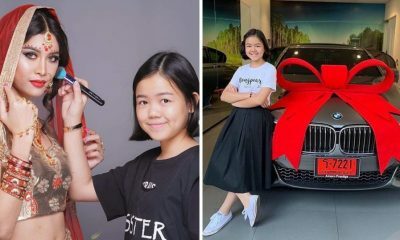 He documented the moment and posted photos on social media where these went viral. 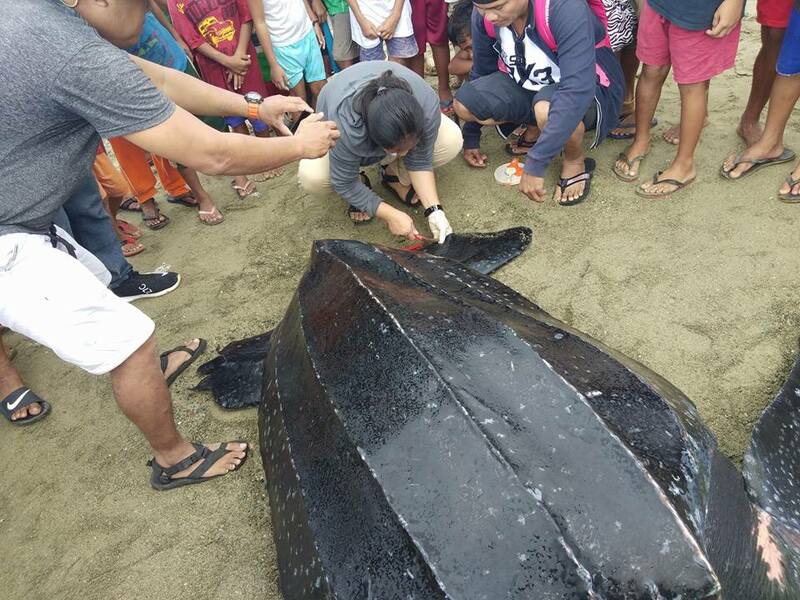 Later that day, after tagging and treating the turtle’s wounds, the technical personnel of the Community Environment and Natural Resources Office (CENRO) of Iriga as well as the Local Government Unit (LGU) of Balatan, Bureau of Fisheries and Aquatic Resources (BFAR) V released the turtle back to sea.